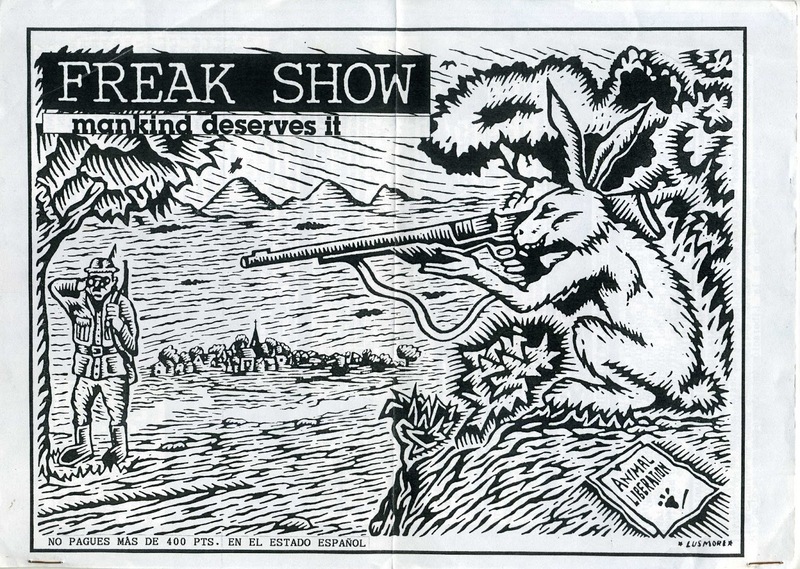 Split tape with 2 HC punk bands,Homo Erectus from Switzerland and Freak Show from Spain,they seems to be both interested into animal rights activism +other political issues. 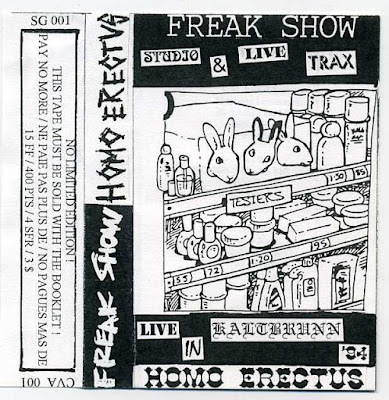 Freak Show offers us both studio and live recordings instead Homo Erectus only a live recording.It came out with a booklet with addresses,info and lyrics.It is included in this folder. It was a join- production by the spanish Cavalera label and the french Sour Grapes label. Indeed, the french label was CALAVERA and the spanish one was SOUR GRAPE (ran by Dany From F.S., not sure he put out something else with this label). 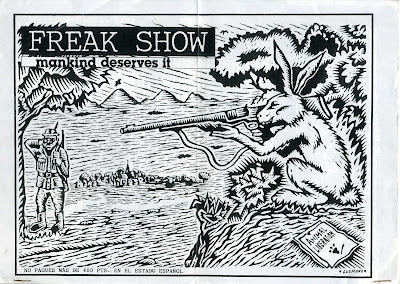 Anyway your blog is a golden mine that allows me to listen to old tapes I used to listen soooooo many times. THANX A LOT !